A few weeks ago we got sent an amazing Den Kit from Wild and Wonderful and Mr A was over the moon as he is counting down the days to when he will be old enough to join Beavers and start his Scouting journey, although over the past few weeks at one point or another at least two of us have been under the weather which has made our normal ventures a little bit trickier than usual. 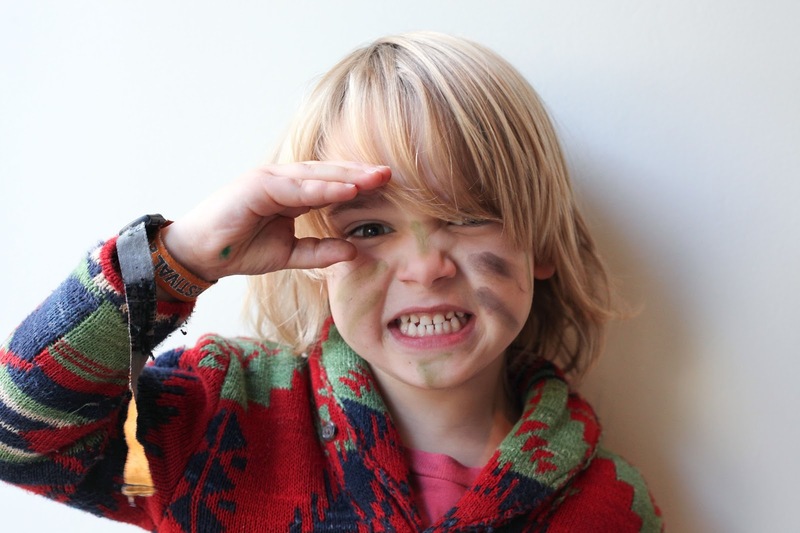 It seemed like we were all on the mend and enjoyed a short break in the countryside of Sussex but on our return it was clear both boys had bad coughs and I was coming down with something, luckily we are all remerging again fit and healthy. We plan to take this kit up the forest for a winter warming activity alongside a flask of hot chocolate and now that we are on the mend hopefully we can do this very soon. 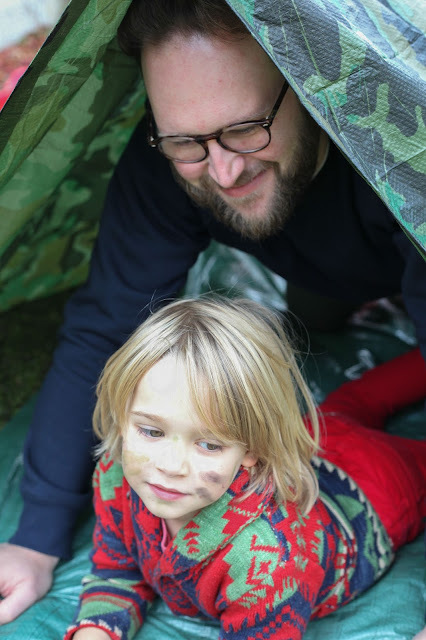 John and Mr A however have done a little dry run in the garden which they both really enjoyed especially as the kit includes camo face paint and a camping mug for a warming drink. 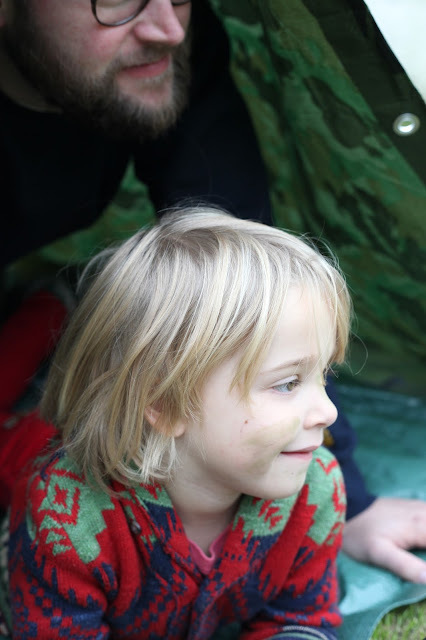 We all agreed that the green cotton haversack makes a great outdoor bag for an adventuring loving child and Mr A really had so much fun with the wooden mallet knocking in the tent pegs and having lots of experience putting up tents every summer he was a wiz at getting the den up and hid out in out most of the afternoon. 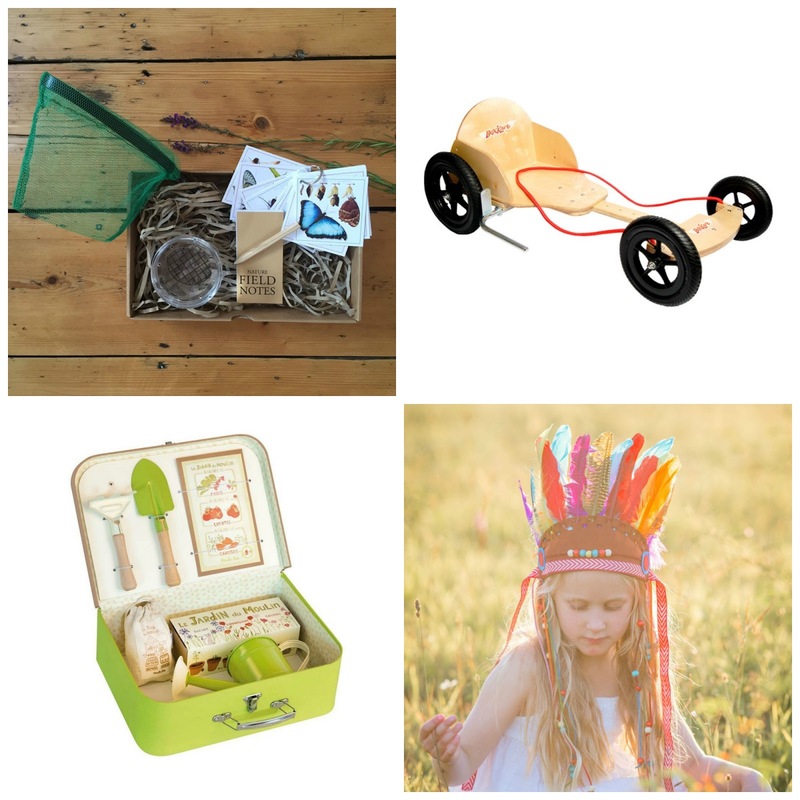 As you know we also like to support local companies and the lovely welsh based Wild and Wonderful online store focuses on products that inspired a love for the outdoors, nature and getting creative. 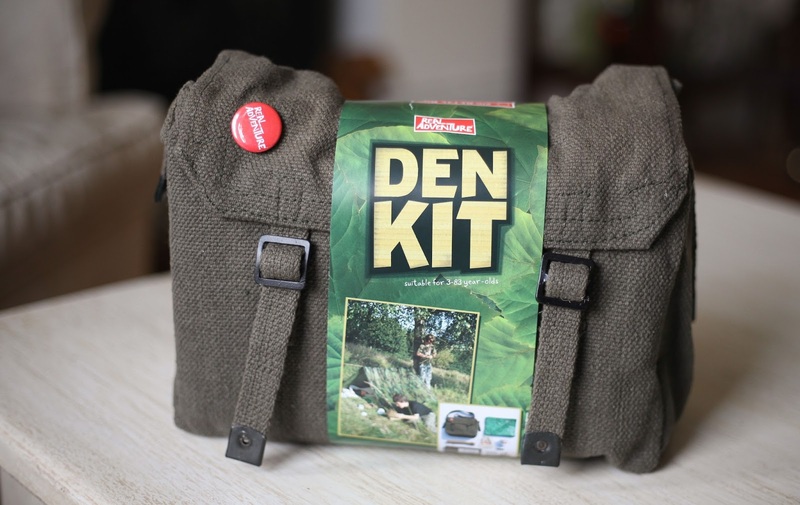 They have some fantastic alternatives for Christmas and we were thoroughly impressed with the quality of the Den Kit. Thanks to Wild and Wonderful for asking us to review one of their amazing products. A fun Christmas present indeed and great for Mr A going up to Beevers, mine all loved it there, especially the camps and sleepovers. The garden sounds a perfect way to test things out. I hope you manage your winter adventure when you are all fully well again. Thank you for sharing with me on Country Kids. Ah this looks like a great kit! !